1. Eating Wahoo fish isn't as tasty or exciting as it sounds. 2. Twenty minutes into watching a live cricket match the woman sitting next to me asks: "Do you have any idea of what this game is?" Bermudians don't think much of Americans. 3. Dark and Stormy in a can. Not great, but not bad either. 4. In Southampton and Sandys Parish there's always at least one dodgy character hanging out at every bus stop seemingly not waiting for any bus. 5. Left turns are a piece of cake. 6. If Bermudians were aware of NYC's mid aughts cocktail renaissance they wouldn't continually be surprised at how unimpressed we are by their trademark Rum Swizzle. 7. The Bermudan dollar peg is a money changer's dream and dice player's nightmare. 8. Since my last time on the island Gosling's has sadly overtaken much of the Ginger Beer market from Barritt's. 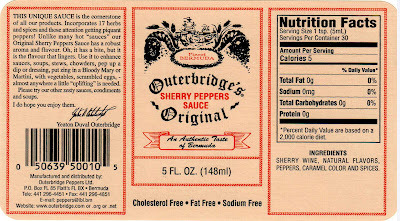 LONG LIVE BARRITT'S. 9. 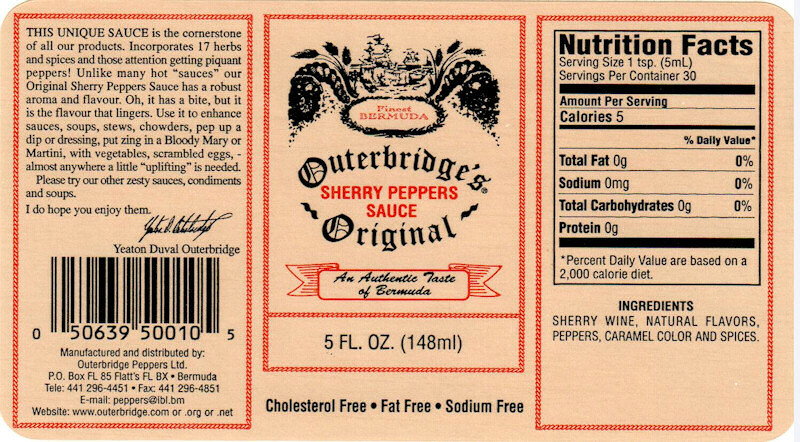 Get yourself some of that Outerbridge's Sherry Peppers sauce. 10. Taxi drivers who charge $5 per km unsurprisingly discourage transportation by rented motor scooter.